At times, people would want to have computers operating fast but the thing is they want to see all the programs loading as well when a computer boots. Now if that were the case, speed will be sacrificed. With so many programs loading on first boot, you can just imagine the time it would take to start them all at once. Also, they cannot be started simultaneously since for some programs, there is dependency on which should start first before the next would follow. But while computers should make life easier, they should also be treated wisely. There are some programs that you simply do not need at startup. You can see these during configuration and installation wherein the installation process would ask you before completion if you would want these to start when windows starts up. Anti-virus protection is included of course. But other programs like Malware protection, peer to peer programs and perhaps even monitoring software can really be started manually if people only consider it. While these programs are slated to operate at times of problems, it does not follow that you need them all the time. Aside from a slow startup, you can expect snail�s pace speed when actually using your computer. Now that would entirely be frustrating. Make do with taking out the programs and software that are not really needed each time your startup. The difference is in speed and you can figure that out once you cut off these other programs. 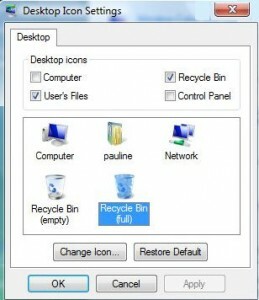 When you delete files in your PC, they normally go first to the recycle bin. So technically, they are still around. There are cases where people recall these files and in some cases, restoring them from the recycle bin can still be done. If that were the case, then good for the use. But what if he really deletes and empties the recycle bin immediately? Such are the cases where deleting files manually on any computer should be done carefully before doing the next thing in your mind. One cannot avoid it. For some, deleting a file is practically automatic towards accepting that they are useless. So why leave them hanging around in the recycle bin when you can free up more space for newer files? Not all people are aware of the real use of a recycle bin. It is the primary location where deleted files fall in. But there are people who configure their recycle bin to automatically discard the files upon deletion meaning that once they are deleted, they are deleted forever. Is that a wise move? For the advanced people perhaps it is, but if you are a novice user, it would be best to avoid being to advance if you cannot really handle it and know how to recover them through technical means. Space is something important for most PC users. Deleting files and some programs help them get through it. Though new storage solutions such as optical drives and external hard drives are present today, some people just don�t want to adjust to it. Regardless, when it comes to finding these files in your recycle bin, check it out thoroughly before making a decision. It may be something you would regret. As far as the blackout issue today that Microsoft has been embarking on, it is obvious that it is a crackdown on the illegal and pirated use of operating systems, particularly Windows XP. Aside from a sales pitch, could it be another approach to which people endorsing the much pronged Microsoft product are also being pushed towards the age of upgrading their operating systems to Windows Vista? It does make sense. For one, we are fully aware that Windows XP will cease to be distributed and hence no more updates shall be unleashed. With that said, it looks like Microsoft is simply justifying its stand of pulling the plug on Windows XP, a much preferred operating system today compared to the buggy Windows Vista. So on the consumer side, you have an option; turn off the automatic updates of your Windows OS. It is the best you can do right now and as the years pass, you are running with smaller options as further bugs may no longer be given patches nor updates. Hopefully though by that time, Windows Vista has already been perfected. As far as hardware requirements are concerned, it is a fact that you have to upgrade soon. It doesn�t have to be the whole set. Focus on the chips, motherboard, memory modules and the processor. Some may need new casings since the size of the new parts may not perfectly fit into the old casing. This early, plan what you are going to buy. New chips are bound to be released but the good side is that new minimum required PC parts today may depreciate already by that time. We are familiar with the various third party programs that are offered and normally, we would have to consider their compatibility as far as systems are concerned. Normally, people would overlook the fact and assume that they are compatible with Windows XP or even Windows Vista. But while that is true, Windwos versions also vary and it would be wise to ask if they could function properly in between brands. 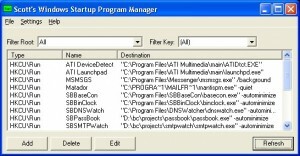 In fact, when we use device drivers, you can note that there are specific Windows system made for them. It does not necessarily follow that a device driver for Windows XP will also be recognized by that of a Windows Vista. They are different. The same holds true when you plan to install software such as graphics editing or programming software. You really have to check if they are compatible with you current Windows OS. Windows Vista has so far been the culprit for these issues since it still lacks the perfection needed to accommodate most software needs and drivers. That is perhaps one reason why people are hesitant to shift towards Windows Vista. But give it time and for sure, we can see a smooth transition considering that Microsoft has always been known to address these problems. All it needs is time for the Microsoft developers to find the loopholes and before you know it, your preferred software can be accommodated and used in your PC once more. The same holds true for device drivers which many today are having problems with. Just wait for the updates to creep in. There is a reason why proper shutdown of your PC is being advised. For sure, fluctuations and sudden stop of processes can have a toll and one of the key components that will immediately be affected would have to be your hard drive. Your hard disk is usually the computer part that carries your operating system and files and while they are not physically tangible, even programmers have a hard time trying to save files and systems due to a simple fault in proper PC shutdown practices. To the average user it does not matter. He always has a friend or technician to restore his PC. But what if your whole PC crashes? What would you do next? If you have backups then fine. But what if you don’t have such and are plainly satisfied with doing these files all over again from scratch? It sorts of defeats the purpose of computers, a device that is known to make life easier for the ones trained to use them. So while you are fine with constantly shutting it down manually, your computer is compiling errors and though there are software available to correct that problem, you never know when your computer will no longer boot again. If you talk about Windows Operating systems, you would be best off with Windows XP for now. Windows Vista is indeed the new kid on the block as far as the latest operating system in the market is concerned but it is far from being user-friendly which is something that most Microsoft software and applications have been known for. Issues such as slower processes and even driver incompatibility problems may ensue so unless you want inconveniences, chances are you would be better off sticking to Windows XP for now. But in case you have installed Windows Vista already, you would be best seeking the help of technology experts or web references if you do decide to downgrade to Windows XP. You are bound to experience a lot of problems, something I have encountered for the past days. Formatting is easy but if you don’t have the right software tools, you may end up not being able to use your computer for a couple of days because of it. In short, Windows Vista is more of a problem than a solution. While there are dual boot options, it is just a waste of space on your hard drive. Imagine having software systems which you cannot use on your computer? Now that can be very frustrating. Eating up space for no use at all is something every computer owner would dread and sad to say, Windows Vista is doing just that for now. The 2008 Beijing Olympics will be nearing its completion and for sure many people are trying to get their hands on memorabilia and souvenirs of the prestigious events. As spectators, you do not really have to go to Beijing to buy one. You can actually get one online in the form of Windows themes and wallpapers. For some, this may come a bit late. Most people who have been waiting for the Olympics are sure to have downloaded their own share of themes, icons and wallpapers. Screensavers as well but most of these are pictures of the place and the mascots that Beijing had prepared. For sure a large demand would be the medalists and the key events such as swimming and basketball where Michael Phelps and the Redeem Team are heading the list of notable winners for the 2008 edition. Much of these wallpapers are sure to be uploaded through the images taken from the event. While it may be drawing to a close, expect a lot of themes to be unleashed once the closing ceremonies get underway. Among the hottest names would include the best performers. Aside from Phelps, LeBron James, Dwayne Wade, Kerri Walsh as well as the other team competition stars are bound to be in demand some time after the said meet. So if you want any semblance of these athletes on your desktop for souvenirs, watch out. They are sure to be spread like wildfire once the Beijing Olympics come to a close.